Connie Kilgore with the bingo sets. The American Legion Auxiliary Unit 367 of Royal Palm Beach has started a tradition of paying tribute to military children during its April meeting. Last year, unit members brought in objects that reflected things that children would miss if their parents were deployed. 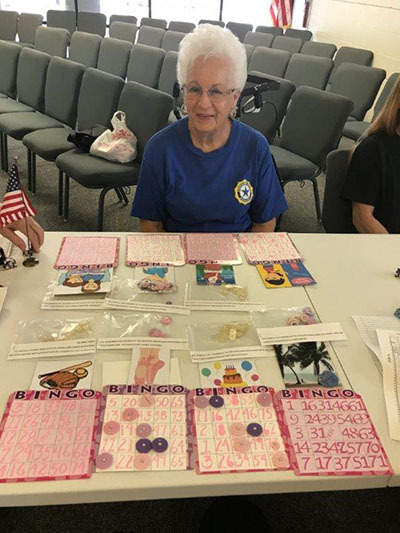 Connie Kilgore collected the items and made a table display that included the items brought in by the unit members and phrases about how the item created a loss to the child. 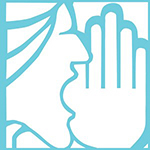 For example, they miss having the parent at birthday parties and miss the sound of their voice cheering them on at sports events. This year, Kilgore took a bingo board and attached above the bingo board sayings about what military children experience when a parent is deployed. The unit members looked at the phrase on their card and thought about how much children go through. The members played bingo games and took turns reading the phrase on their bingo card.